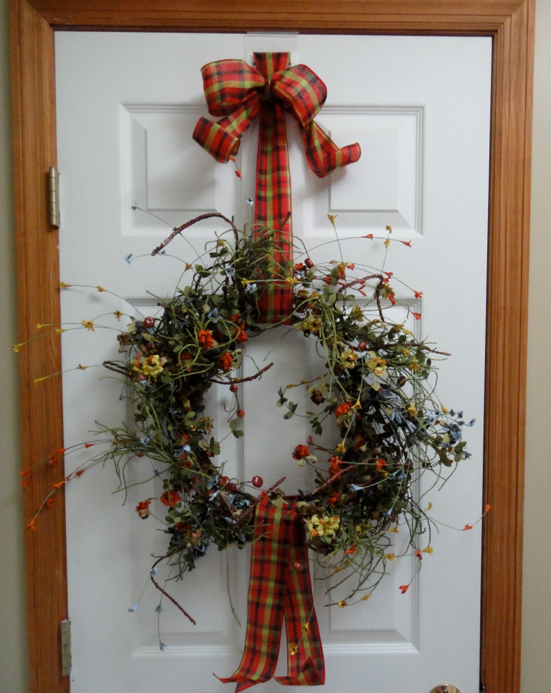 Beautiful wreaths look even more beautiful when a coordinating ribbon is accenting them. Ribbon not only adds designer style to your decor, it allows you to adjust the height of your wreath just how you want it. To give you just a few examples of the versatility of the Wreath Pro, here are four different ways you can try to hang your next wreath using Wreath Pro, adjustable wreath hanger. 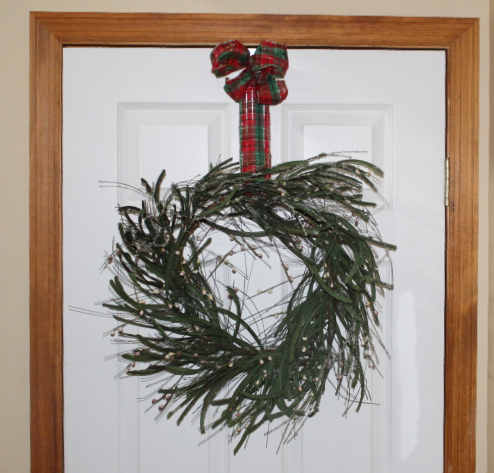 In the above example, the ribbon goes around the wreath then through the top slot of the door hook from the front. 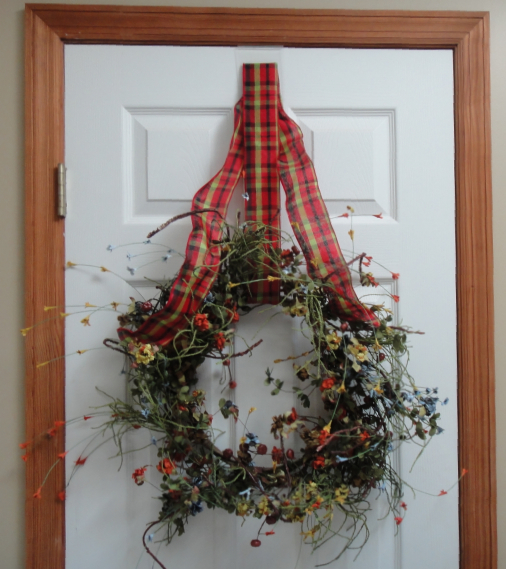 The ribbon is fed back through the 2nd slot of the door hook and the "Ribbon Tail" drapes down over the wreath. Here is an example with a bow at the top. 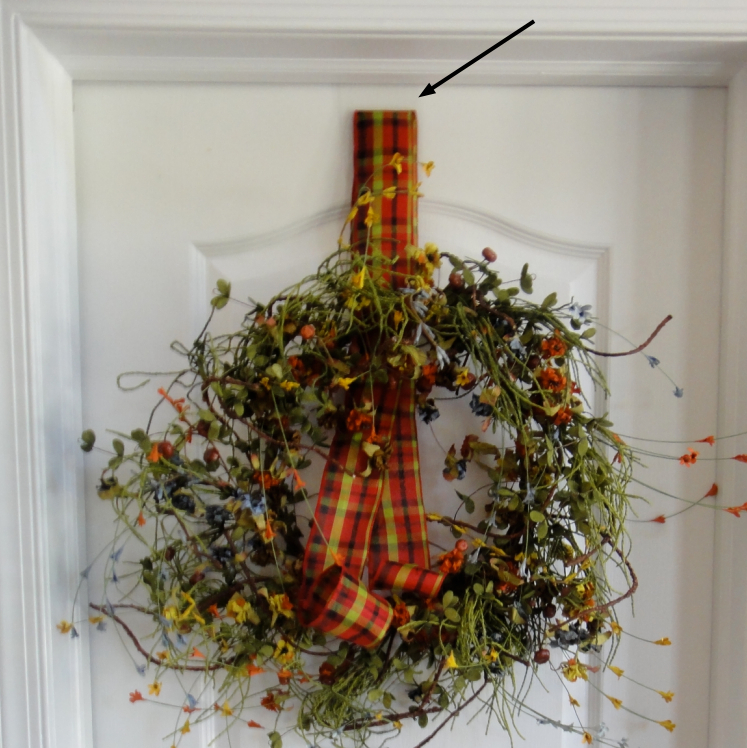 To achieve this, feed the ribbon through the wreath, then feed it through the 2nd slot in the door hook from the front. Feed the ribbon back through the top slot of the door hook and tie a bow. In the example above, the ribbon is fed through the wreath, then the top slot in the door hook and then back and forth through slots 2 and 3. The ribbon "tails" then continue back through the center of the wreath. Check back for even more examples - coming soon!